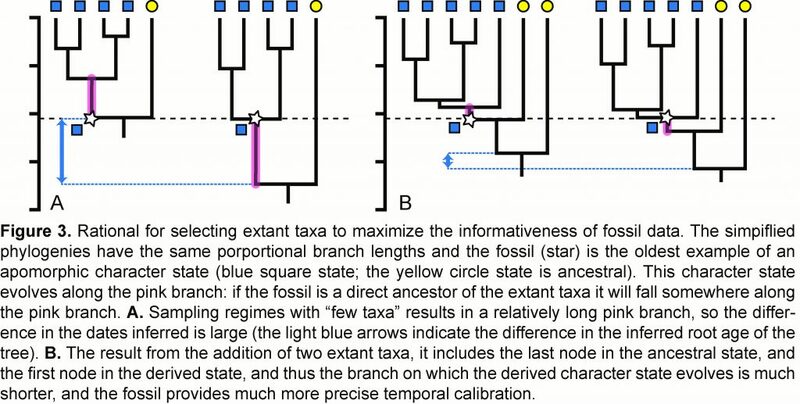 Cindy Looy, Nathalie Nagalingum, Michael Sundue, and I (Carl, in this case), are delighted that our grant proposal to apply “total evidence dating” (TED) methods to infer the timeline of vascular plant evolution has been (almost completely) approved! In lieu of embarrassing photos of the PIs, I’ll post here some of the figures from our application, to provide somewhat of a feel for what this project entails. 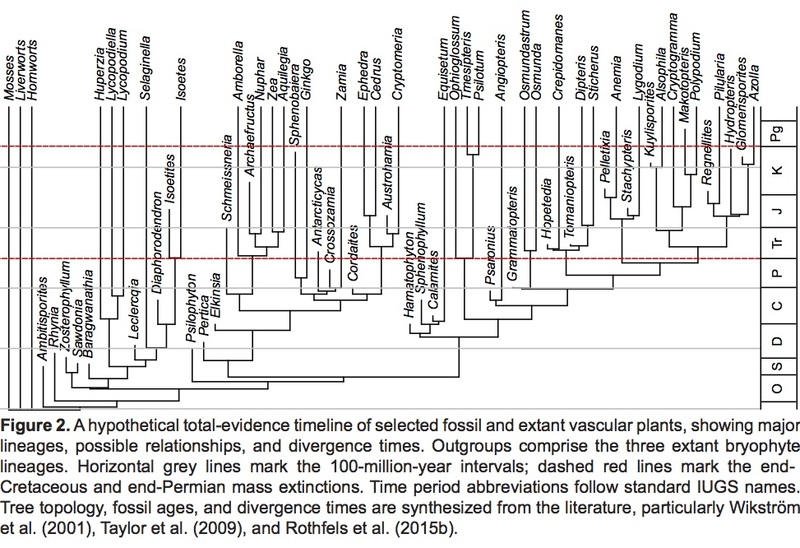 An example of what a total-evidence timeline of vascular plants might look like. Taxon sampling will be very important for this project.